This piece looks unique with its rare designs. The neckline is beaded and the area below the bust is ruched. The skirt flows straight and touched the floor. 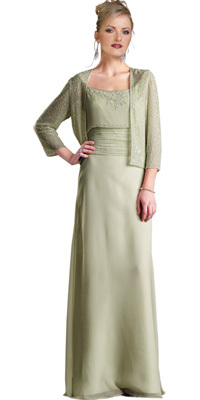 A cutely beaded jacket over this dress makes it an enchanting two piece dress and it can be worn to any party.